India and China are in a 10-week standoff over disputed territory in a remote but strategic area of the Himalayas. On June 16, Chinese troops accompanied by construction vehicles and road-building equipment moved into an area Bhutan considers part of its Haa district. 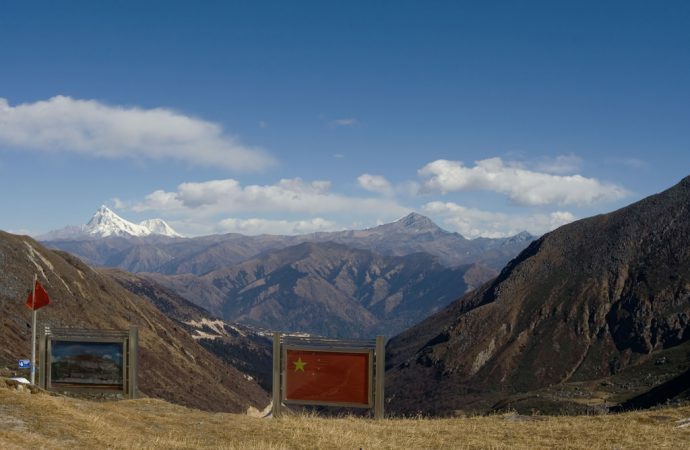 Since then, India and China have engaged in a tense standoff over what was thought to be a settled border at the tri-junction of Indian, Chinese, and Bhutanese territory. Though the dispute is technically between China and Bhutan, India perceives Chinese troops to have moved uncomfortably close to the vital Siliguri corridor that connects India’s north-eastern states to the rest of the country, prompting India to intervene on Bhutan’s behalf. After requesting the southbound Chinese troops to withdraw, Bhutan sought urgent assistance from its Indian neighbour to interdict the convoy. China claims the roughly 89 square kilometre area Indian forces travelled over to meet them, and has argued that the Indians unlawfully crossed their border to intervene. Efforts to settle claims and refer the dispute to dialogue have gone unheeded and, though both parties’ positions remain unsubstantiated, neither side has seen fit to withdraw or bridge the divide. Further, various media outlets in India and China have capitalised on the spat to stir nationalist rhetoric. The Global Times, a hawkish Chinese state-owned news agency, went as far as to presuppose the initiation of ‘limited war’ against India. The prospects of armed conflict, however, are increasingly slim, as China is occupied by more pressing issues in the South China Sea and Korean peninsula. The current situation is likely to lapse into something of a new de facto status quo. The line commences at Mount Gipmochi on the Bhutan frontier, and follows the above-mentioned water-parting to the point where it meets Nipal territory. Unsurprisingly, various spokespeople for the Chinese Foreign Ministry have used this to legitimise the CCP’s claims and undermine Bhutan’s position. 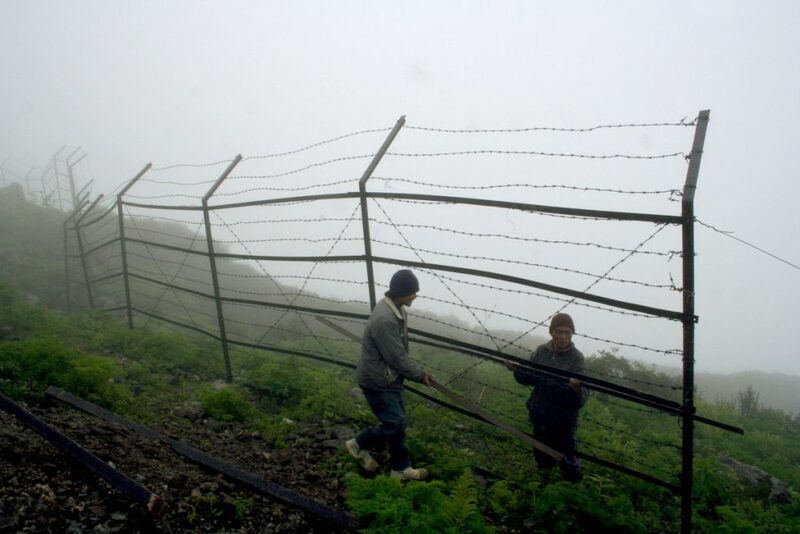 China has also maintained that India’s first Prime Minister Jawaharlal Nehru affirmed this interpretation of the border, though these claims have been discredited. In addition, Sikkimese records note that the disputed Mount Gipmochi is in fact Batang-la, the point India and Bhutan agree to be the tri-junction, some 6kilometre north of China’s claim. The confusion surrounding these claims has not deterred efforts by any party however, instead provoking greater domestic hostility and the resurgence of India and China’s keen geopolitical rivalry. More important than the current standoff are the geostrategic implications of China’s territorial claims. As some analysts have pointed out, Mount Gipmochi is a pivotal observational outpost that provides a clear line of sight into Bhutan and access to strategically important areas of India. 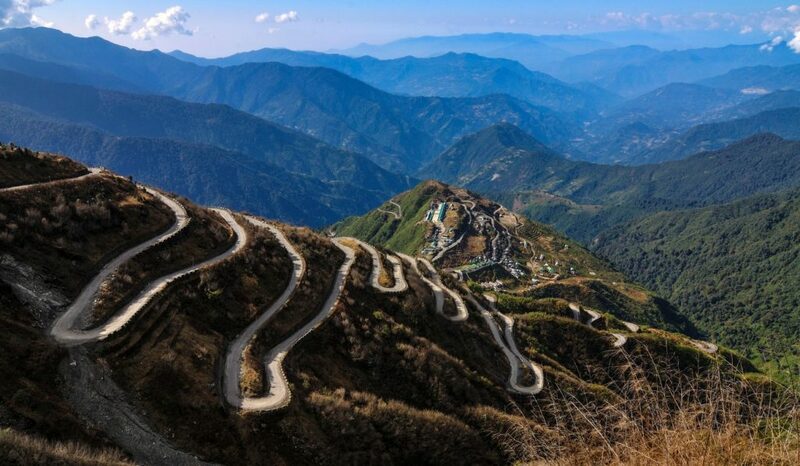 In particular, the Siliguri corridor, a passage that’s a mere 27 kilometre at its narrowest point, lies only 110kilometre southwest of the Doka La pass. It is the primary supply route connecting India to its north-eastern territories. A consequence of India’s borders with Bangladesh and Nepal, the corridor is a strategic choke point that, if captured or blockaded, would cut-off roughly 45 million residents in the contiguous Seven Sister States and the Himalayan state of Sikkim from the rest of India. Control of the Northeast Indian Brahmaputra River and its tributaries flowing into the Bay of Bengal would also allow China to further its efforts at encircling India, provisioning significant influence over Bangladesh and facilitating an improved naval presence in Southeast Asia. To add to India’s anxiety, as K.S. Venkatachalam remarks, “military power is heavily stacked in favour of China [with] …nearly one million more troops, five times as many submarines and tanks, well over twice as many military aircraft, and nearly twice as many warships.” With strategic calculations such as these in mind, Beijing can be confident in patiently pressing its advantage, accepting the present scenario as a sort of de facto status quo until more favourable circumstances take shape. Open conflict is unlikely in the current political climate. China will shortly play host to the 9th BRICS Summit, a conference aimed at advancing friendly bilateral relations between rising nations including India and China. While there is much criticism of China’s role in numerous regional disputes, what credibility Beijing hopes to gain from the summit would diminish in the event of conflict. It would also jeopardise the carefully honed narrative of China’s peaceful rise to global pre-eminence. Should the situation deteriorate, President Xi Jinping may face internal backlash over the damage caused to China’s image abroad, not to mention the economic turmoil even limited conflict would bring. It could even cause a possible shift in consensus at the 19th Party Congress in November, a critical event in Xi’s political career. Yet the president’s need to appear strong in the lead-up to the Congress will also deter any Chinese efforts to reach an accord with India. The likelihood of an immediate escalation in the Doklam standoff is low. However, the growing divergence of India and China’s military capabilities is now overtly apparent. If left unchecked, India will lose ground to China’s rising regional supremacy and similar disputes in the future would increasingly favour China. To calm the current tensions, New Delhi needs to persuade Beijing to open dialogue and settle the dispute diplomatically. Whether China will pay heed or continue to utilise its increasingly dominant hand, however, remains open to speculation.